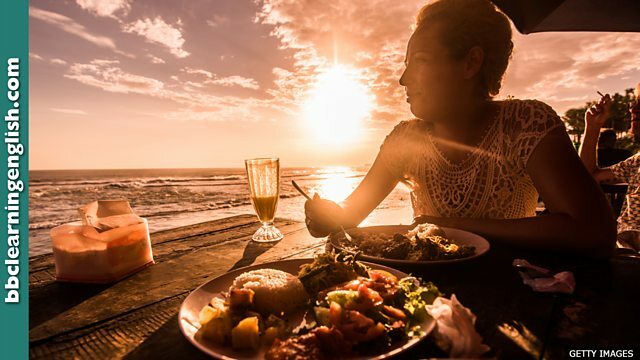 The first ever World Restaurant Awards has awarded its top prize to a small South African beachside restaurant. Which slang word means 'award'? A small beachside South African restaurant specialising in local seafood has won the top prize at the inaugural World Restaurant Awards in Paris. Wolfgat, whose six staff have no formal training, opened two years ago in a cottage and cave on the remote beach at Paternoster. Its sixty-dollar tasting menu is a fraction of what prestigious Parisian restaurants charge. France were crowned champions at the 2018 World Cup. Chloe came second last year but hopes to be crowned at the comedy awards tonight. This reviewer says the new Vietnamese eatery deserves five stars. If you want fine dining, San Sebastian in Spain is famous for its eateries. The inaugural modern Olympic Games were held in Athens in 1896. The school's inaugural public speaking competition was covered in the local press. There are two letter 'u's in this word. What is the correct spelling of this word, meaning 'first in a series'? Part of this word is usually a verb. Which of these is a synonym for 'restaurant'? This word has its origins in the name for the gold 'hat' that a king or queen wears. Neil has been unofficially ______ the most popular News Review presenter on the team.